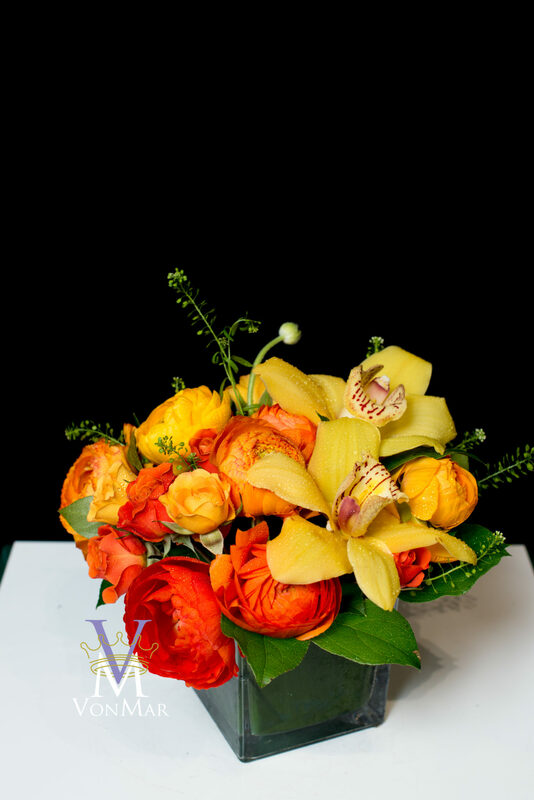 A simple glass cube is filled with vibrant yellow and orange locally grown Ranunculus, Spray Roses and Orchids…a sure way to bring a smile to anyone! COPYRIGHT ©2017 VONMAR FLORAL BOUTIQUE. ALL RIGHTS RESERVED. WEBSITE MADE BY FRAME.